Gothamist brings our attention to a tone-deaf email that went out to NYU staff last week, asking for donations to student scholarships, both to the "1831 Fund" specifically and also just in general. Tuition's up to $71,000 a year, after all, so "your voluntary participation is much appreciated," guys! Every day you show your dedication to our students. Today, I invite you to join me in giving those students an additional support. I invite you to make a gift for scholarships. Our community is enriched each year by deserving students who would not be here without scholarship support. The senior class comes together to leave a legacy of scholarships through the 1831 Fund. Last year the faculty and staff matched their gifts. This year our goal is to provide 80 brilliant young minds with the chance for an NYU education - a dynamic urban experience that you make possible with your daily efforts. You can make your gift to the 1831 Fund, a scholarship fund at any school, study away scholarships, or the general scholarship fund. Your voluntary participation is most appreciated. Tomorrow you will see students raising gifts at tables across campus. Please join them and make your gift today. 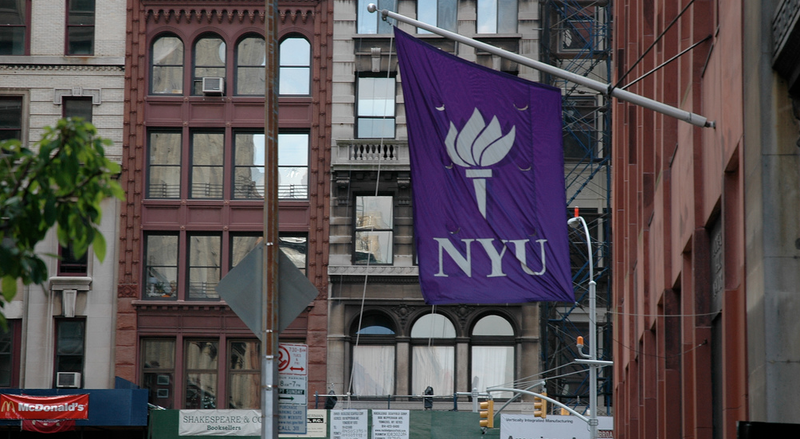 Thank you for all that you do for NYU this day and every day. While NYU is turning to its employees to subsidize their students' laughably enormous tuition bills, they are likely keeping plenty of money around for things like $685,000 exit bonuses and perhaps the salary of this private investigator who's been stalking the New York Times reporter who asked too many questions about those migrant workers building NYU's Abu Dhabi campus.